Is the Casio Pro EX-F1 good for Landscape Photography? 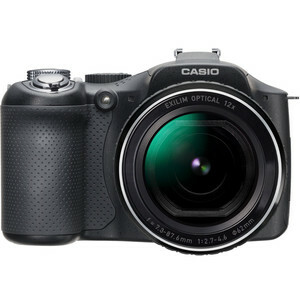 Casio Pro EX-F1 has a score of 41 for Landscape Photography which makes it an AVERAGE candidate for this type of photography. If Landscape Photography is important for you, we recommend you to check the Alternative cameras at the bottom of this page. Even though there are very good examples of landscapes photos taken with tele lenses, most of the landscape photos are taken with wide angle lenses. Unfortunately, with the widest focal length of 36mm, Casio Pro EX-F1 doesn't provide a real wide angle coverage. Casio Pro EX-F1's small sensor struggles in low light situations compared to larger sensors. Landscapes photography is where you need the maximum resolution. Unfortunately Casio Pro EX-F1's 6.0MP sensor doesn't deliver much and limit you with smaller prints and less fine details.